Reetsyburger's Refuge: Wearing The Hair Of The Dog. Portraits Of People In Clothes Made From Their Pets' Fur. Wearing The Hair Of The Dog. 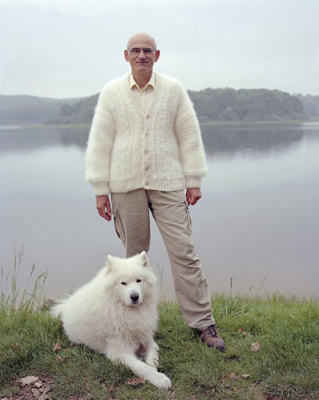 Portraits Of People In Clothes Made From Their Pets' Fur. I hope THIS doesn't give my husband any crazy ideas. For the record, I don't want to wear it. Eek! Ok, that's just not right.